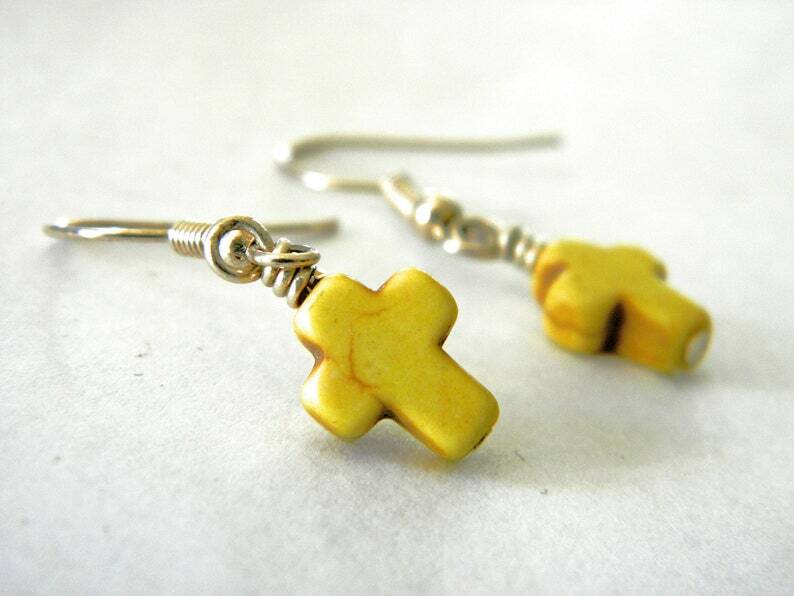 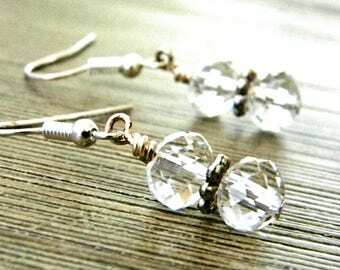 Small yellow stone cross beads hang from silver colored ear wire. 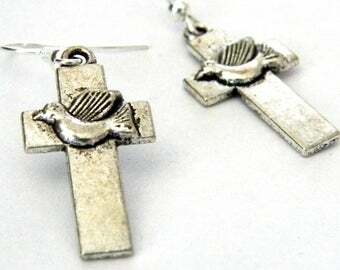 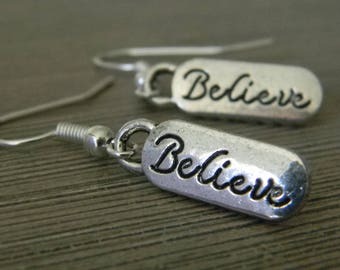 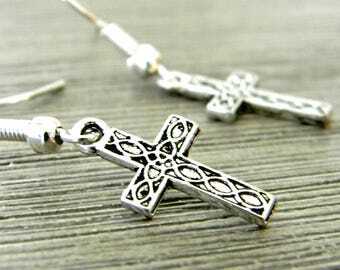 The cross earrings are about 1.25 inches long. 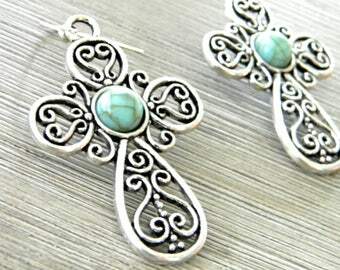 The stone is howlite.